With over 30 years of experience, Dr. Maurice Sherman has become a master in creating the “natural look.” Anyone in the Del Mar region looking to improve their physical figure will get unmatched attention and care from Dr. Sherman. He is one of the most trusted and experienced surgeons in the plastic surgery industry, with three board certifications to his name. You’ll be in good hands with Dr. Sherman, as he meets with every patient personally and provides them with advanced computer imaging and informative analysis. During your free consultation, Dr. Sherman will conduct a head-to-toe analysis to best determine what surgical course is right for you. You’ll also receive a free, customized copy of the Del Mar Cosmetic Life Plan, a makeover guide with suggestions tailored to your unique body and skin type. The well-trained staff provides you with a comfortable and safe experience. So call and schedule your consultation today. 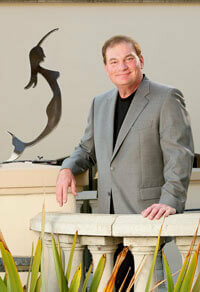 Contact us to arrange a private consultation with Dr. Maurice Sherman today.